He's speaking out about what he's observed at Oregon's Crater Lake National Park. Crater Lake park ranger Brian Ettling. 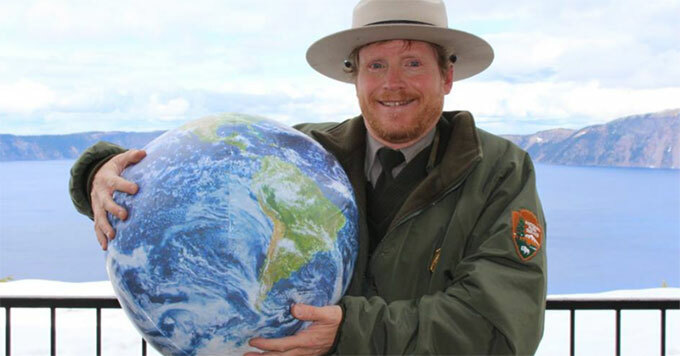 Brian Ettling has been a seasonal ranger at Crater Lake National Park in Oregon for more than 20 years. Over the decades, he’s witnessed the worsening effects of climate change. There’s less snow in the park than there used to be, and the lake is getting warmer. For a long time, Ettling was hesitant to talk to park visitors about these changes. But six years ago, Ettling decided to go for it. He started leading a fireside program about how global warming is affecting the park. He sticks to topics that are easy for non-scientists to understand – like how warming temperatures threaten the habitat of the Pika, a small, rabbit-like mammal found in the park’s high elevations. He says visitors have been overwhelmingly receptive to the information. For others who want to talk about global warming, Ettling says the changes we’re seeing at national parks can be a great starting point. Photos: Courtesy of Brian Ettling.